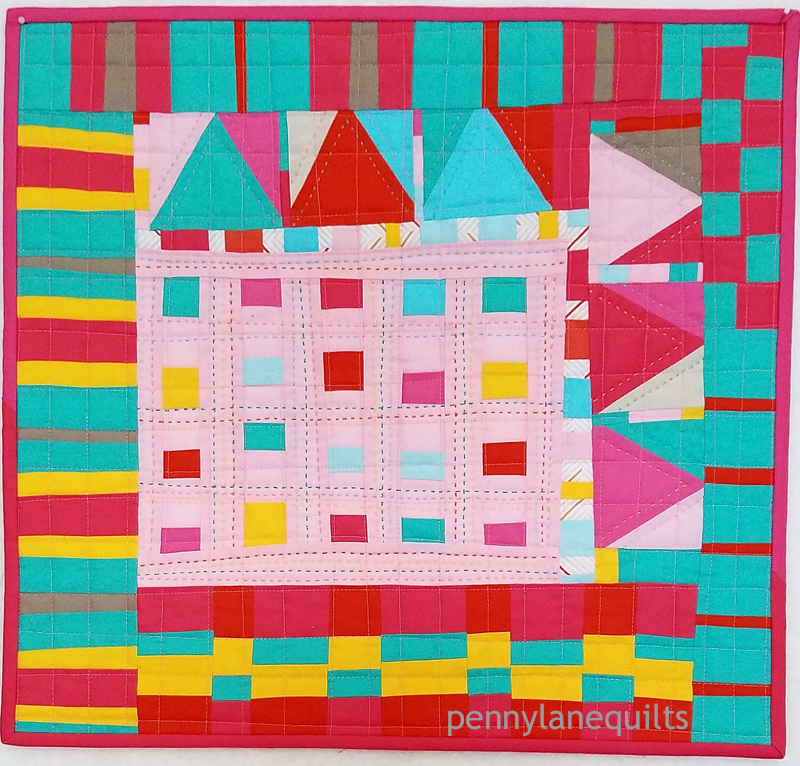 Mini quilts are such a wonderful way to try something new! I have made several over the past few years, participating in guild challenges, swaps and magazine submissions. When I discovered Curated Quilts, I was immediately drawn to one of their features . Each issue has a challenge to make a mini quilt with a specific palette that fits a certain theme. Their second issue’s theme was “Log Cabin” and this was the palette. You can go here to see all of the wonderful minis that were submitted. I love the log cabin block, so that wasn’t too much of a stretch for me, but the colors were definitely a different combo. I decided to explore some of the improv ideas that began in workshops with Maria Shell @talesofastitcher last summer. Here is the mini that I submitted and I was very excited to have it included in the magazine. 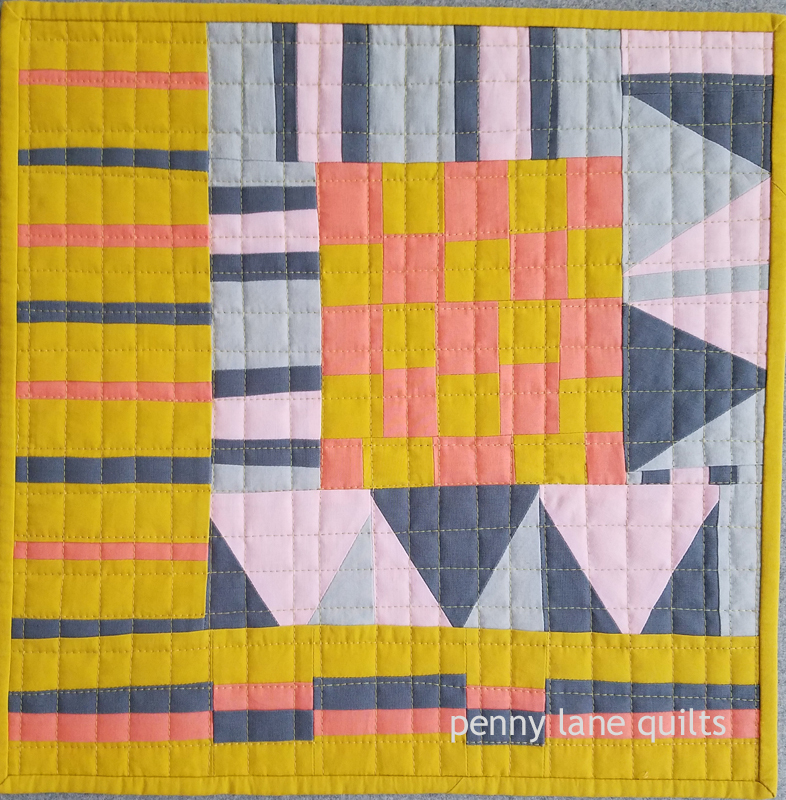 If you haven’t seen a copy of Curated Quilts, yet, check it out! It is definitely a quality, no advertisement publication. 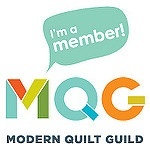 The past two years I have participated in the MQG swap and I love the #makeaminimakeafriend concept. Check out the hashtag on Instagram to see many of the quilts that were created and swapped. 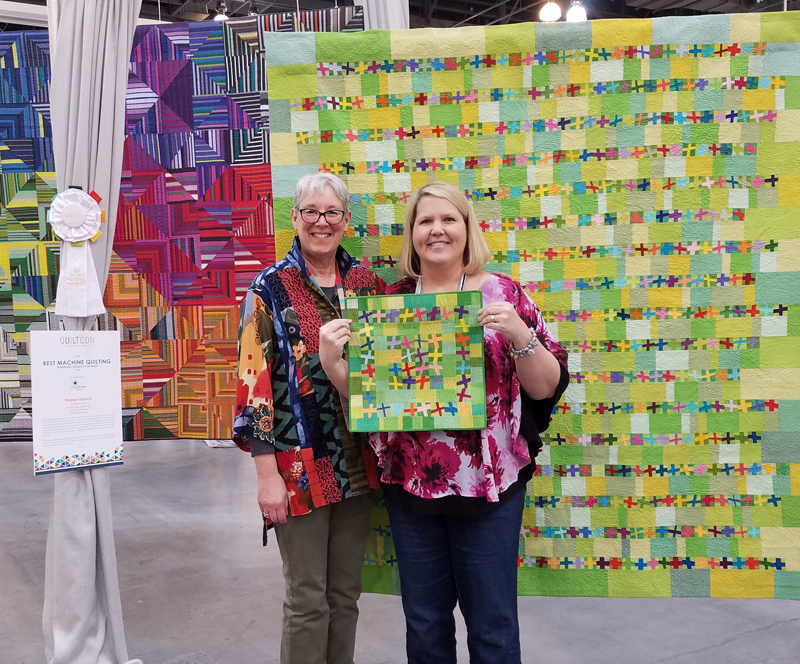 A fun feature of this opportunity is that you have the option of swapping in person at QuiltCon. Last year in Savannah, I received a wonderful mini from Sandra Kaye @sandieloves2quilt . 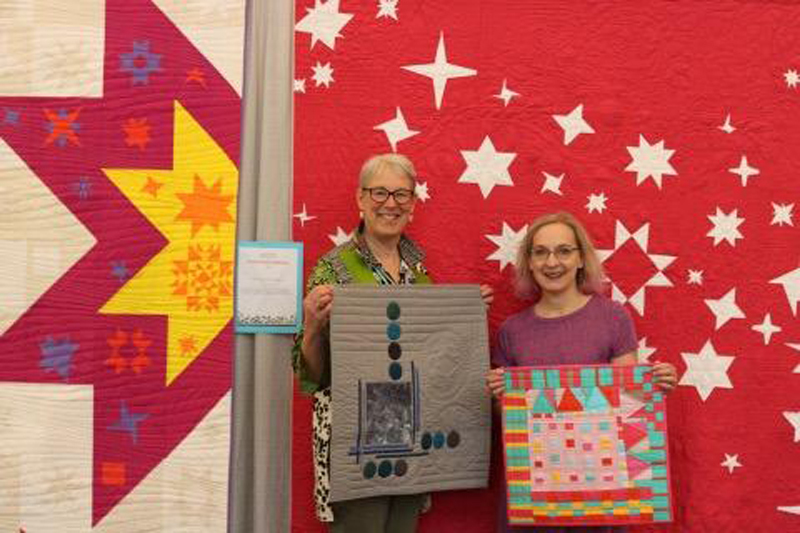 That mini started her on a whole new “Happy Dance” adventure and she made a larger version which won a big prize at QuiltCon 2018 in Pasadena! This year I made “Confetti” for my new friend, Jules @julesquilts, who said she liked pink! You can see the design is a continuation of the ideas I used in Summer Cabin. It was so fun to meet her in person. She made a beautiful mini for me using her hand dyed fabrics and it is quilted with her elegant stitches. How grateful I am for these two new quilting friends! I love all the little quilts that I have received from friends over the years. They decorate our home and are daily reminders of our friendships. Thanks for reading. I hope you have a mini (or two) in your future. They are small, but they might lead to something big! I like that you’ve done a round up of various works. It’s a great way to see some breadth in your preferred styles. Thanks, it was fun to look back and remember some of the ideas I’ve explored.